Almost every day this subreddit sees "is Fallout X worth it? "/"What Fallout should I get next?" posts. I'm hoping to cut down on those posts with this simple buyer's guide to the franchise and save all of our braincells in the long-run. People will always debate which Fallout is better, so I'm skipping all the propaganda you're gonna get by asking yourselves and cut everything down to what you're gonna get without any spoilers outside of listing time limits. Fallout 1: The quintessential Fallout and the spiritual successor to Wasteland. If you haven't played any Fallout's yet, it's necessary to start here. Even if this will be your second, third, whatever Fallout purchase, get it. Every game has its origins and ever gamer should strive to start every game series from the very beginning, even if it's extremely dated at this point. Most of you reading this guide started from Fallout 3 or; God forbid, Fallout 4/76, so Fallout 1 will not be what you're expecting. 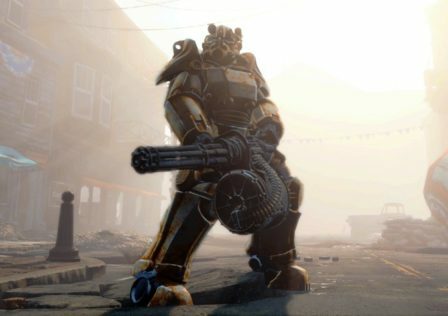 It's a turn-based isometric strategy (like XCOM) RPG, not the first-person/third-person shooter Bethesda turned the series into with Fallout 3 (which is really just Oblivion Fallout-ified). Builds determine your entire game, your S.P.E.C.I.A.L. stats and perks will have a drastic affect on your overall experience; it's not like Fallout 3/ New Vegas/4/76 where you can decide halfway through level 15 that you want to be a melee powerhouse instead of a gunslinger, doing this in Fallout 1 can screw you over big time. There's also a time-limit, you have 150 in-game days to complete the game before you fail and the game ends. You can extend this time by 100 days under certain circumstances; which the default 150 days is plenty of time to do most if not every quest in the game. The characters and factions are memorable, the story is pretty damn good, the gameplay; while dated, is pretty damn good, the easter eggs are fun, your companions are actually useful, and there's so much to do. Keep in mind that the game came out in 1997, there's bound to be issues running it on newer systems and things will look more pixelated than Crash Bandicoot, but trust me, it's worth getting. Fallout 2: The direct sequel to Fallout 1 and slightly better or worse depending on who you ask. Fallout 2 came out a year later in 1998; a time when games were so small a year was plenty of time to develop them. Fallout 2 introduces you to the Enclave and with it a whole heap of new quests, people to meet, places to go, and things to do. It's still an isometric turn-based strategy game with a bit more polish to it; why fix what ain't broke? The gameplay is still solid and holds up well into today, the story will have you at the edge of your seat, and the time-limit has been extended from 250 days to 4745 days; or 13 years. Seriously, good luck still having things to do before you hit that limit. Fallout Tactics: Brotherhood of Steel: Not to be confused with Fallout: Brotherhood of Steel, here's when Fallout started getting weird and Bethesda started butting in on the series. Tactics is the first entry into the series that for the most part isn't considered canon once Bethesda took over; meaning almost nothing in the game actually had any place in the timeline or lore, and the first to be developed by another company (Micro Forté and 14 Degrees East) and published by then-Bethesda Softworks. Still an isometric RPG, it has a focus on combat and strategy instead of RPG. Unlike Fallout 1 & 2, Tactics has the ability to customize the loadouts and stats of your companions via multiplayer mode, and numerous player-drivable vehicles (that you cannot take on missions, only use for transport and healing). Compared to its predecessors, Tactics is very linear and plays more like a shooter. RPG elements have been reduced in favor of more action, towns have mostly been replaced with Brotherhood Outposts and Bunkers, out of combat interactions with NPC's are limited to mission-critical or trading only. The story isn't as great as FO1 & 2 but it has its moments, combat is alright for the most part, but exploration is mediocre at best. There's no time limit on the game, so feel free to take your time. Fallout: Brotherhood of Steel: Avoid it like it'll give you pus-filled genital warts if you so much as look at it. If you find a copy, buy it just to set it on fire with a blowtorch so no one else has to make the mistake of spending money on this stain on the fabric that is the Fallout franchise. Black Isle Studios went under and BOS was developed and published solely by Interplay, who decided it'd be a great idea to sell out to Bawls Energy Drinks by allowing them to advertise their drinks in-game; replacing Nuka-Cola with Bawls; and ditch Atomic-era artists like The Ink Spots, Nat King Cole, Frank Sinatra, etc for metal bands like Slipknot, Celldweller, Killswitch Engage, etc (because the goth/emo craze of the mid-2000's). The gameplay is a total nightmare, the story is bland as hell, the characters are forgettable, there's hardly any RPG, and it focuses mostly on crappy gunfights. This game's only saving grace are the Experimental Deathclaws. They looked kinda cool. Fallout 3: Oblivion with guns and radiation. Bethesdunce's first entry into the series was a revolutionary one. Long-gone is the turn-based isometric RPG of yesteryear and arrived is the first-person/third-person RPG shooter Fallout has become, and it was a welcome change. 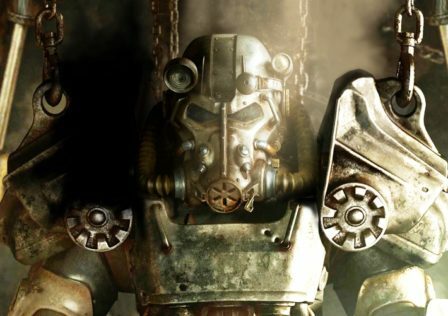 Fallout 3 continues Bethesda's decline in effort towards their games by stripping content in favor of more action, but at least it worked out for FO3. The story is basically Finding Nemo in reverse thanks to the infamous laziness of writer Emil Pagliarulo; who can't come up with a better story for Fallout other than 2 reversed versions of Finding Nemo. Mediocre story aside, the game plays really well. Gunplay is a bit wonky at times but the RPG, activities, companions, locations, and music are all memorable and instills instant nostalgia for anyone who's played and gets reminded of it. Builds no longer matter, instead the leveling system is much more laxed, aimed at a focus on combat than build planning. Fallout: New Vegas: Fallout supreme. This is Fallout at its absolute best, this ain't propaganda it's fact. 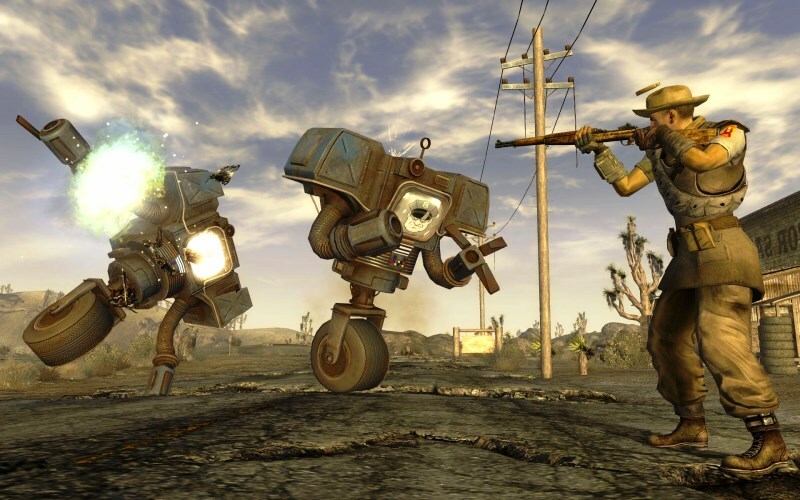 Fallout: New Vegas was the result of Bethesdunce handing the Fallout keys to Obsidian Entertainment, who are the resurrected Black Isle Studios. At long last Fallout had their original creators taking the reins again and they didn't hold anything back. The story is rich and engaging, almost every quest has multiple paths towards multiple endings, the gunplay was drastically improved, companion management is a dream, NPC's and companions are simply amazing, the RPG is a main feature and is intertwined with the combat instead of slowly being phased out, there is so much to do and see that you could play for 120+ hours and still have things to do if you paced yourself. Even the DLC's (aside from Dead Money) are epic saga's that prove how great Fallout can be if it had good writers. The only drawback is that Bethesda gave Obsidian a very short timeframe to develop and release F:NV, which lead to a lot of bugs and instability; some are save-corrupting, due to trying to cram all of this new content into Fallout 3's aged engine. But the game is so good that it's worth the pain of losing a few hours of work. Fallout 4: Bethesda never learns. Once again continuing Bethesdunce's nasty habit of simplifying their games and stripping them of features to reach a broader audience, Fallout 4 almost totally ditches RPG for combat and base building. Emil Pagliarulo is back and once again half-asses the story by ripping off Finding Nemo again. Still using a modified version of the now-22 year old Gamebryo engine (renamed the Creation Engine), there's bugs and instability galore and really crappy textures as is typical with any Bethesda release. The gunplay is alright, equipment customization is pretty good, companion romance and interaction are good, companion affinity can be annoying ("Strong disliked that" sums up your time with Strong), base building can be a real chore and is ultimately entirely optional (ie doesn't matter), the factions are bland, the lore has gone out the window with Bethesda ignoring even their own lore from Fallout 3, the quests are repetitive, enemy placement is cookie-cutter and predictable, there are only 5 endings that don't affect much, quests either have one or two endings in linear paths, keyboard controls are a nightmare, the AI can be downright broken, the DLC other than Far Harbor is half-assed with obvious remodels of existing creatures standing in for actual new creatures; Far Harbor is only three quarter-assed, among a bunch of other disappointments. The saying "Fallout 4 is a good game but a bad Fallout" is very accurate. It's a Fallout that plays more like a shooter than an RPG, Fallout isn't Fallout without the ability to create whoever you want to be with the consequences to back it up. Read: Can we have an actual discussion about the state of the game? Without dismissing valid criticism? Without berating people who are able to enjoy the game? Fallout 76: From bad to worse. 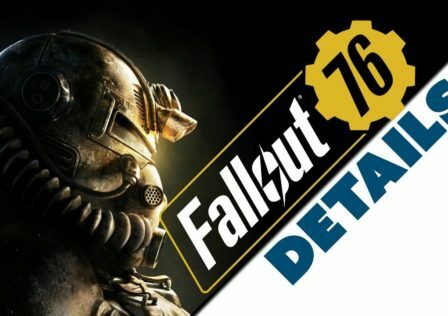 Fallout 76 is a multiplayer version of Fallout 4 set on a new map with a new Pip-Boy, some new weapons and armor, and absolutely no RPG. To even hint that Fallout 76 is an RPG is an insult to human intelligence, you can't role-play when there are no character interactions aside from enemies and other players (who are few and far between). F76 has numerous game-breaking bugs and every patch released just seems to break more than they fix, it's mostly focused around you trying to get your hands on a nuclear missile so you can nuke another players' settlement. Like any MMO, it forces you through a grind in order to proceed with the quest; but like any Bethesda game there are glitches to exploit and get around this. The gunplay is the same as Fallout 4 except VATS is now real-time as it's multiplayer, base building is still a chore except now it's more annoying because if someone else on the server has built where you did, your stuff gets moved somewhere else or stored until the spot is available again. All-in-all it's a very empty, very broken Fallout 4 set in the Appalachian Mountain region. The long and short of it is that when asking about which Fallout to buy, it all comes down to what you want out of your experience. Do you want a game where strategy, story, characters, and build are the main focus, or would you prefer more action and less plot lines to follow for a more casual playthrough? Fallout has a game for all playstyles, just don't expect every Fallout to be perfect. They all have their drawbacks. And that's my buyer's guide to the Fallout franchise. Hopefully people will see and read this so we can all stop facepalming when we see two "WhAt FaLlOuT sHoUlD I gEt??!1? !/" threads posted back-to-back… though I doubt it. I'd also absolutely love for this to be pinned as well, but again I doubt it. If others comment some other factual pros and cons about each game in the Fallout franchise that I missed from staying up until 9:10am, I'll consider adding it to the perspective game's description. Future of the fallout franchise? © Post "Buyer’s Guide to the Fallout Franchise" for game Fallout.